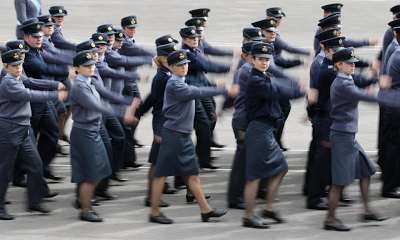 In a bid to make service ‘more inclusive to transgender personnel, the Royal Air Force has reportedly banned women from wearing skirts on parade. 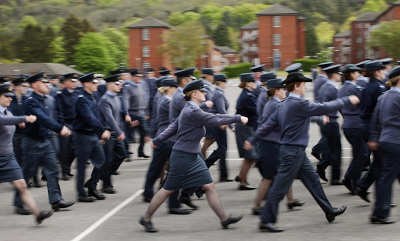 The change is understood to have followed after some servicewomen had complained that marching in skirts is uncomfortable to them. Confirming the new policy to the Sun, an RAF source said the updated uniform policy was designed to reflect the RAF as a 'modern and inclusive employer. 'It’s about including people and encouraging diversity. But the move has infuriated many servicewomen who are reportedly 'livid'. 'We’ve all been told woman can no longer wear skirts on parade. Everyone’s livid. We’ve been wearing skirts since World War II. It feels like political correctness. The world’s going mad.' she said. However, the servicewomen are still permitted to wear skirts on other occasions when not marching.